These days we are inundated with “hi-tech” TV shows where science plays the leading role to solve a crime scene. One of the main revolutions in the field of criminology (… or even biology!) has been DNA fingerprinting, where any trace of human tissue, blood or hair can lead to the identification of a person via its genetic code. In extragalactic astrophysics, research focuses on understanding the formation process of galaxies by observing their properties. We follow an analogous method to DNA-fingerprint our “suspects”, the stellar populations. The stellar component of a galaxy can be modelled as an ensemble created during the different stages in its formation. If we are capable of translating the information we get at the telescopes into these ensembles, we recover the formation history of a galaxy. In this quest, it is of course very important to use a method that enables us to identify a specific ensemble. How is it possible to determine the age of a galaxy? I am Dr Ignacio Ferreras, a reader in the astrophysics group at MSSL. My work focuses on understanding the formation of galaxies by studying in minute detail the light they emit. 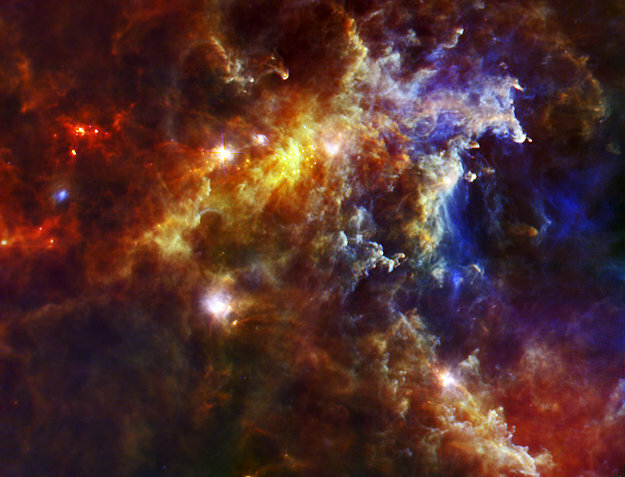 The DNA of a stellar population is in the form of a spectrum. The rainbow can be considered the “DNA-fingerprint” of the Sun. If we observe it in detail (right), we find a large number of dark patches revealing the presence of different chemical elements in the external layers of the Sun. The most familiar spectrum to all of us is the rainbow. Droplets of water in the Earth’s atmosphere refract the light from the Sun, separating the different wavelengths into a colourful display. We can think of the rainbow as the spectrum (i.e. the DNA) of the Sun. If we could look at this rainbow in detail, we would find that it has variations in intensity, with maximum emission around yellow light (the Sun is yellow!) and with an abundant set of “dark patches” (see the first figure). These patches only extend over a small range of colour, and are caused by the absorption of light of a specific wavelength by chemical elements in the external layers of the Sun. The good news is that the position of these dark patches can be known to a high level of precision, as the transitions involved are governed by the laws of atomic physics. For instance, the orange colour of a sodium floodlight is neatly explained by a specific transition between energy levels of the sodium atom (the same transition is seen in the solar spectrum!). 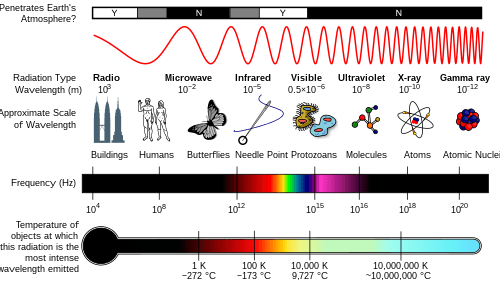 Our task is then to identify these atomic and molecular lines in the spectrum of far away galaxies to understand their “chemistry”, which is intimately related to their formation. An example of galactic DNA-fingerprinting: by taking the spectrum of a galaxy (left), we can explore in detail the different absorption regions and thus measure the amount of elements such as Magnesium or Iron. A strong trend is found between the relative amount of these two elements and the total mass of the galaxy (right). This trend is related to the amount of time it takes to form the galaxy. Massive galaxies seem to form very quickly. Let me illustrate this with an example related to work we do in the astrophysics group at MSSL. Chemistry as a stellar clock: The lifetime of any star is strongly dependent on its mass: The most massive stars (several tens of solar masses) live much shorter lifetimes than our Sun. During their short lives, they build up a good amount of chemical elements from Helium to Iron via thermonuclear reactions inside their very hot cores. When they reach their final stages, massive stars release these elements in a gigantic explosion (termed type II supernova). However, the heaviest material (Iron) gets trapped inside the core, and only a small amount of iron is ejected, whereas other elements – like oxygen or magnesium – are released in vast amounts. All this material is mixed up with the gas in the interstellar medium of the galaxy, and gets incorporated into the next generations of stars. If only these supernovae were present, the amount of iron in stars would be very low indeed. However, there is a second type of explosion (type Ia supernova) involving a binary system, where at least one of the stars is a compact object called a white dwarf (our Sun will evolve into such an object at the end of its life). In this case, gas from the companion star in the binary system falls on the white dwarf, eventually triggering a thermonuclear explosion. This explosion blows the whole system up, so the iron generated in the process is not trapped. This type of scenario takes long to develop, which means the iron-rich type Ia supernovae occur much later than the iron-poor type II. So, if all the stars in a galaxy were formed over a very short period of time (before type Ia supernovae went off), then little iron would be seen in their “DNA-spectrum”, whereas a more extended period of formation would allow for the recycling of type Ia ejecta, giving a higher iron content in their stars. By observing specific lines attributed to chemical elements produced during either type II or type Ia supernovae, we can determine whether the stars in a galaxy were formed very quickly, or at a slow pace. The second figure of this post shows that the relative contribution of iron is found to decrease strongly with the mass of a galaxy. The stars in the most massive galaxies, therefore, are expected to form over a very short period of cosmic history. This is quite a challenging result for our understanding of galaxy formation, and the search to find the progenitors of these very massive galaxies is on. Stay tuned. Hello, I’m Dr. Missagh Mehdipour, a research scientist at the Mullard Space Science Lab. In this post I will tell you a little bit about my first observing trip to a telescope. 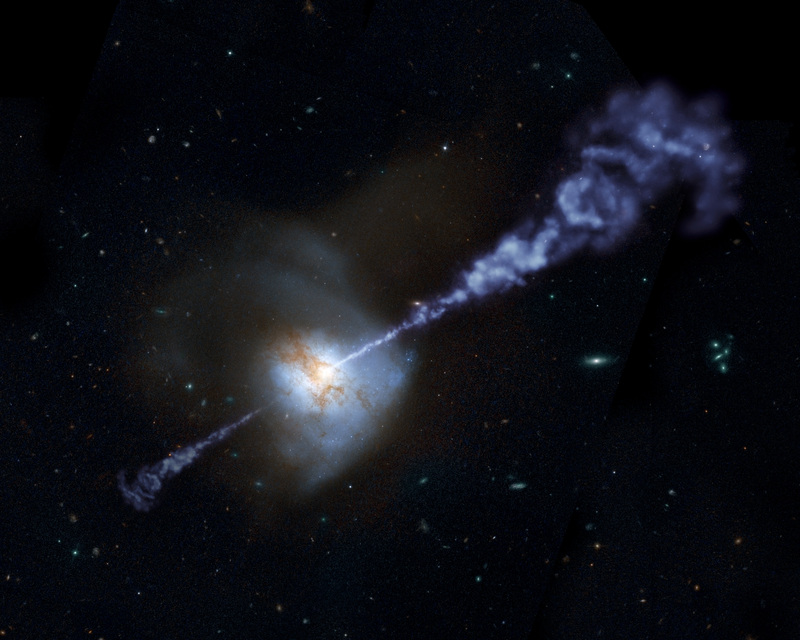 As an X-ray astromoner, I am interested in studying the hottest objects in the universe which radiate in the X-ray energy band. However, as a consequence I don’t often travel to ground-based telescopes to observe them; X-ray astronomy can only be done from space since the Earth’s atmosphere absorbs the X-rays (on the upside those harmful radiations cannot reach us!). So when in the final year of my PhD the opportunity of an observing trip to a ground-based telescope came along, I grabbed it with both hands. My colleague Prof. Mat Page, and I travelled to the James Clerk Maxwell Telescope (JCMT) on the summit of Mauna Kea in the Island of Hawaii. 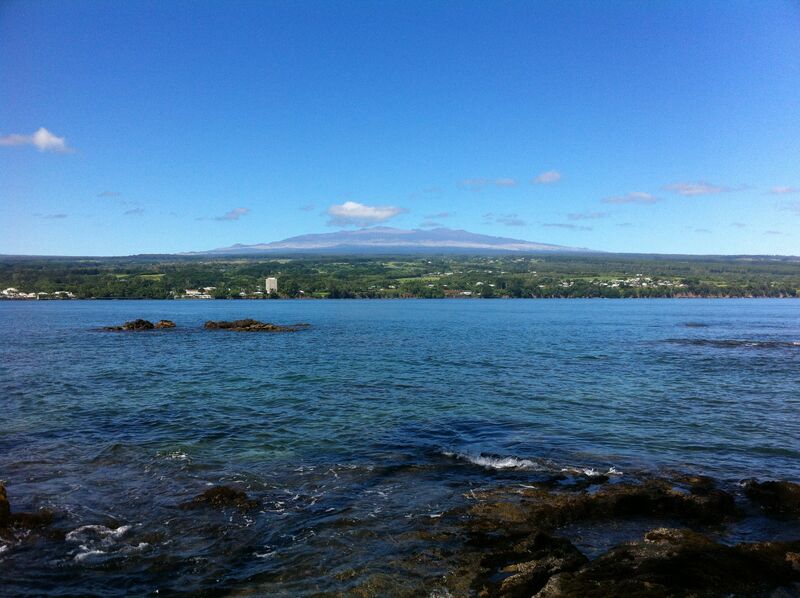 Here is a fine view of Mauna Kea from close to our hotel in Hilo. With a diameter of 15 m, JCMT is the largest single-dish telescope in the world operating in the sub-millimeter region of the spectrum. With its sensitive instruments it detects light from the coldest materials in the universe, with temperatures of only a few degrees above absolute zero. 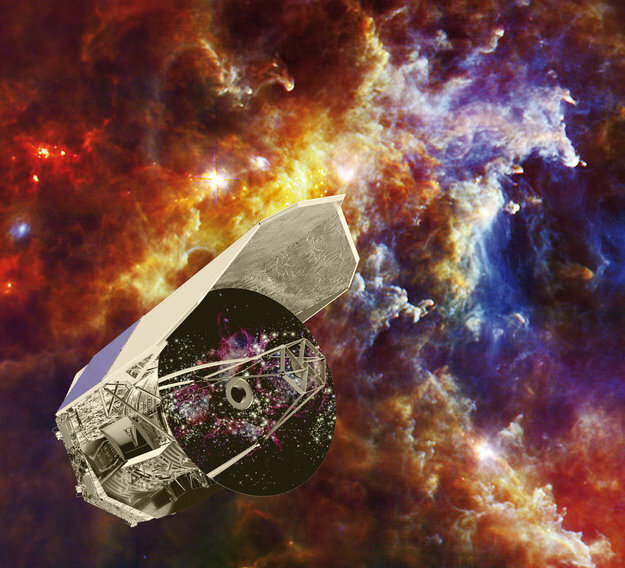 The observations that we carried out were part of a major survey to study our galaxy and the universe in sub-milimeter wavelengths. 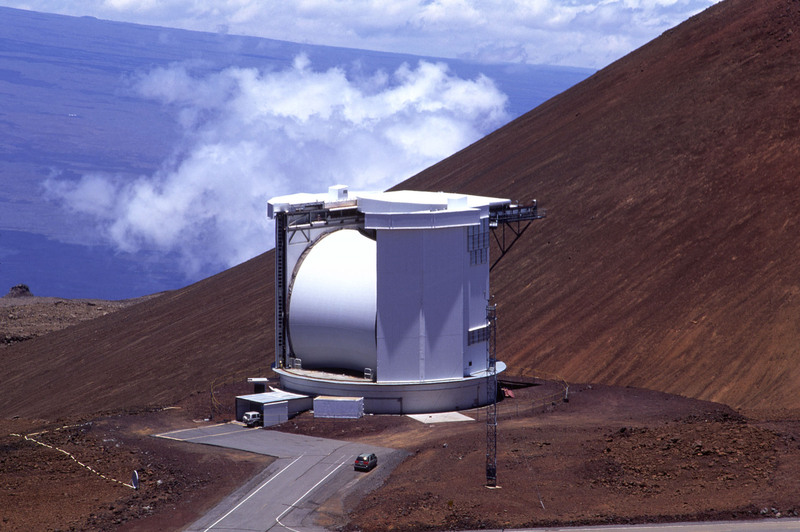 Since water vapour in the Earth’s atmosphere attenuates radiation in this part of the spectrum, the high altitude and dry conditions of Mauna Kea (an extinct volcano standing at 4200 m above sea level), makes it the ideal place for submilimeter astronomy. In fact since the creation of an access road in 1964, more than a dozen world-class telescopes have been constructed at the summet, making Mauna Kea one of the most important sites for ground-based astronomy. Atmospheric pressure at the summit is about 40% less than at sea level; this poses a health risk which can have a range of effects on humans from minor discomfort to life threatening conditions. Therefore we were strongly adviced about sympotoms of altitude sickness and how to prevent it and respond to it. Before travelling to the summit, we stayed at our base camp (known as Hale Pohaku, Hawaiian for “stone building”) on the slope of Mauna Kea for two night to allow us to acclimate to the high altitude. Hale Pohaku at an elevation of 2800 m is a cluster of buildings which includes few dormetories and a main building containing a caferteria, offices, recreation facilities. The many cinder cones and lava rocks in the surrounding areas are testement to the former volcanic activity of the mountain. Here is a view from top of a cinder cone looking down at the base camp. 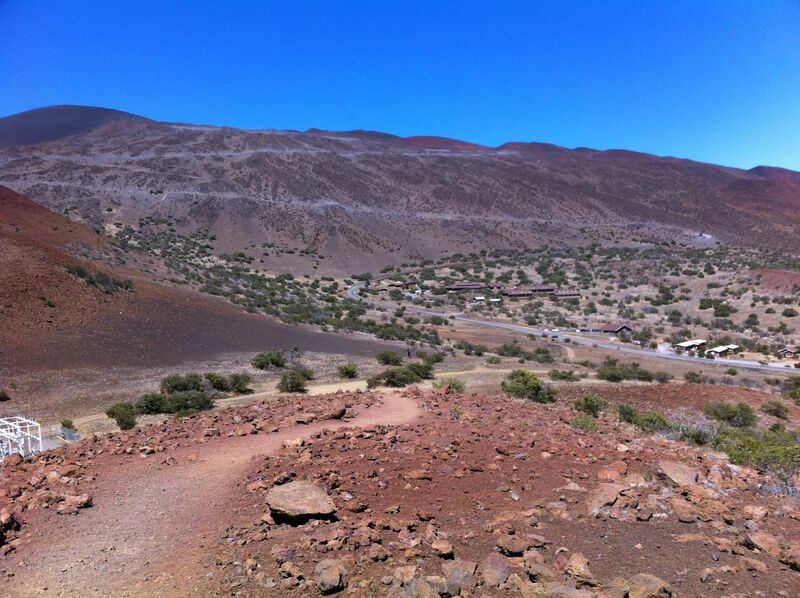 The zigazagging dirt road to the mountain top can be seen in the distance. Our observing program ran for 7 consecutive nights; we would leave our base at 6 pm each night and return by 8 am the following day. After the first two nights, staying up all night became easy! For safety reasons, no one is allowed to spend more than 14 hours above the base camp in a 24 hour peroid. The drive from Hale Pohaku on the winding dirt road to the summit takes about 20 minutes. The view from the top is spectacular; we often saw tourists driving up the mountain to catch a glimpse of the beautiful sunset. 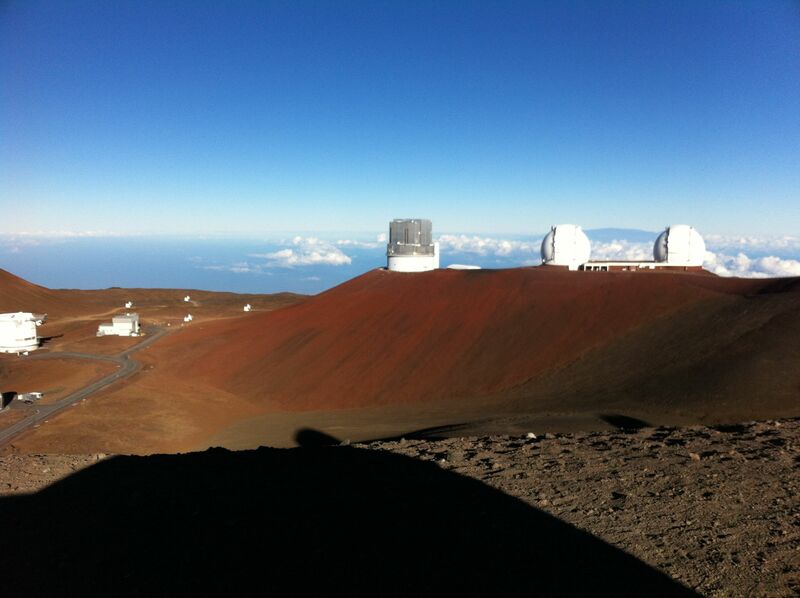 Some of the telescopes at the top of Mauna Kea, including JCMT shown on the far left hand side. 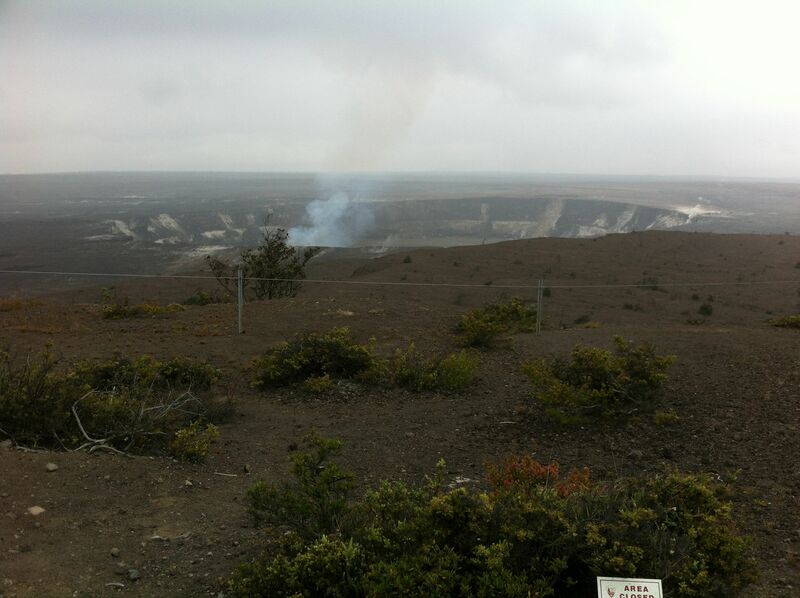 In the couple of days we had before and after our observing run, we visited some amazing places in the Big Island. One interesting location is the Volcanoes National Park. The park is full of mind-bogglingly huge crators and fascinating lava fields. The cracks on the ground from which steam and sulphur gases are expelled are a reminder the region is an active geothermal area. The diverse and beautiful landscape of Hawaii Island makes it a unique place definately worth visiting!